Well, Pappy and the Buffalo Trace Antique Collection haven’t arrived yet to Louisiana, but just arrived two months late is Old Forester Birthday Bourbon, a very limited release bourbon that is twelve years old and 95 Proof. This is a very sought after bottle but which has come under some criticism in bourbon circles only because the Old Forester 1920 Prohibition Style Bourbon is so very good, cheaper, and much more available. However, I wanted to see for myself and this bottle was allocated to me. It never hit the shelves. It’s a really cool bottle. The nose is beautifully balanced between oak, caramel, leather, and spice. In short the nose is fantastic. On the palate is beautiful rye spice with corn syrup sweetness with oak on the finish. Just delightful. I would put this bourbon on the level with many other limited release bourbons, particularly the Orphan Barrel series, with the Birthday bourbon being superior. It really has some nice oak flavors that taste real, where Orphan Barrel and even Woodford Reserve Double Oaked have oak flavors that come off as slightly artificial. Compared to other limited bourbons on my bar in the same price range, like Four Roses Al Young or Michter’s 10 year old, this bourbon is definitely at that level and maybe better in some ways. This is a very refined and subtle bourbon with a nice slightly punchy finish that reminds you this is still Bourbon. Very Very Good. I would say it is definitely prestige bourbon. But I have to say that Old Forester Prohibition Style is a better bourbon at less than half the cost of Birthday. Brown Forman really outdid themselves with Prohibition Style at 115 Proof. It’s just so good. And, I am still waiting on Brown Forman to give me what I want- a Cask Strength Old Forester Release. I really want to taste their best bourbon uncut and unfiltered. 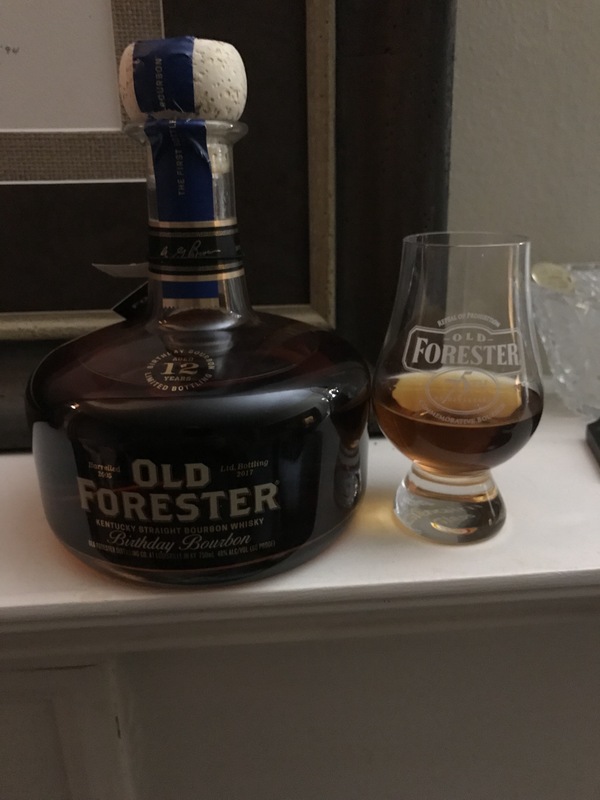 But for folks not into high proof or cask strength bourbons, Old Forester Birthday Bourbon is definitely one you should hunt for your collection.